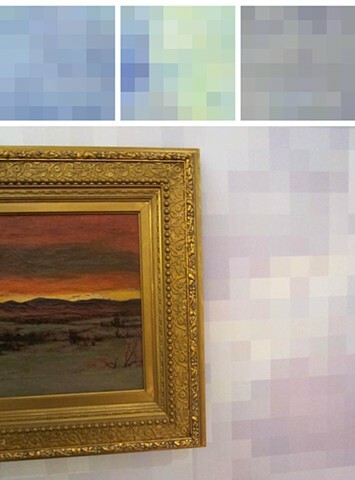 Each of the three square panels pictured represents a one square foot sample of the cloud. The effect of the entire cloud from a distance is that of a massive but legible, pixilated but painterly cloud. Up close, as you see here, it is a reductionist grid of sky colors.